I finished some Half Orcs I started a month or so ago. Took some shortcuts, and looking at the pics I think I will go back an add a slight highlight to the armour. These are the old Grenadier minis, now sold by Mirliton. Stylistically a little different, but still close enough to look good with the Black Tree minis I previously painted. 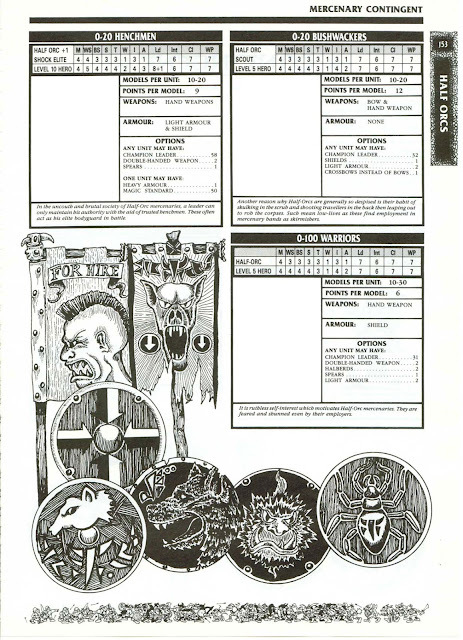 So these will fill the role of Bushwackers, in WFB3 terms. I'd like to find a mini to use or convert for a champion, though. I also need to find a good half orc general. 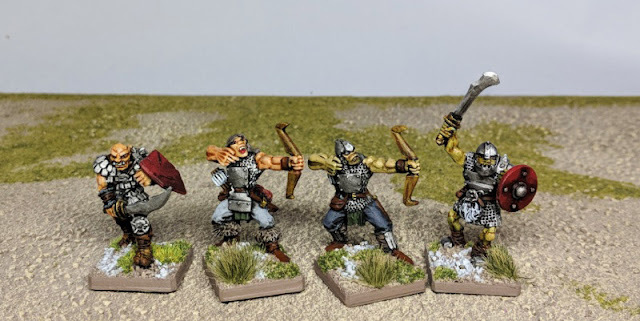 I do have some more rank & file to paint up, and should be able to put together a good mercenary contingent/warband with the addition of just an additional handful of minis. Very nice brush work! I like the variety of skin tones. Thanks. 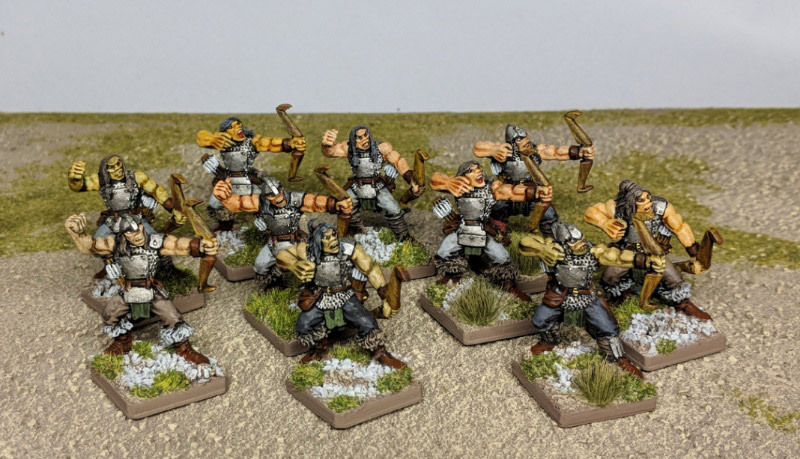 I enjoy mixing up the base colors & wahes for a more varied look on the half orcs (and trolls). Wonderful painting, they look fierce and beautiful! Love this part of your project - but then I always loved the old Citadel pre-slotta Half Orcs, I've got them all stashed away somewhere. 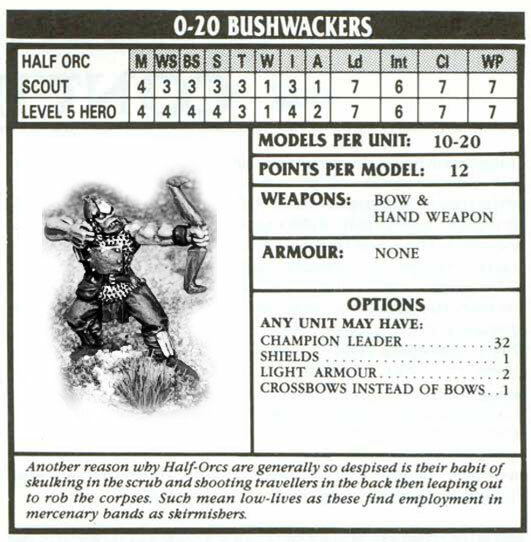 One of my favourites was always the mounted Half Orc adventurer with battle axe, I wonder if he'd fit with your miniatures? Would be a cracking leader for this bunch if so! 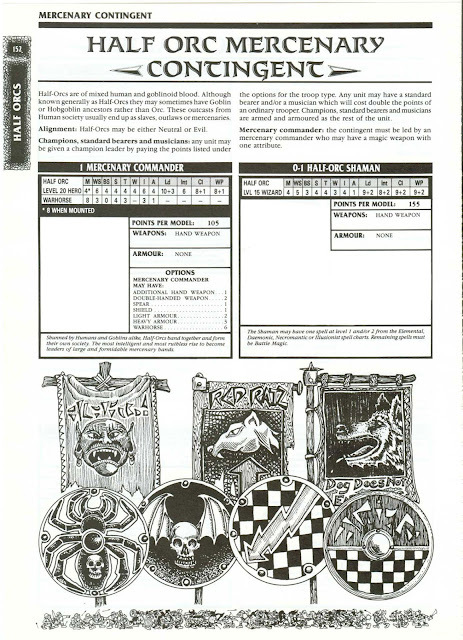 I've always wanted a Half Orc mercenary contingent. They look good. It's got me eyeing the Mirilton website. I need to paint more of the lead pile before I go down that rabbit hole.